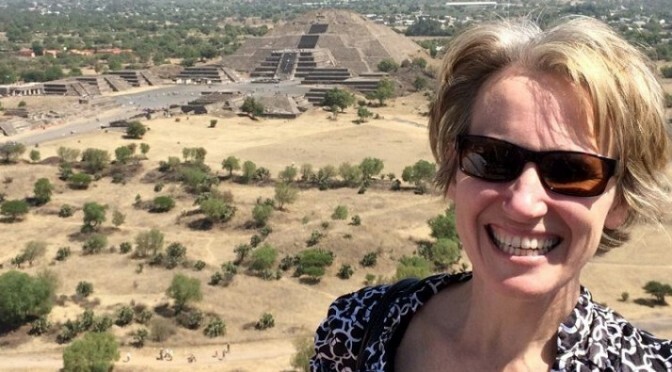 Nine companies from a variety of business sectors recently completed a trade mission to Guadalajara, Mexico, sponsored by the Utah Governor’s Office of Economic Development (GOED) and World Trade Center Utah (WTC Utah), in cooperation with the U.S. Small Business Administration. “As a small business it’s a critical opportunity to develop credibility for yourself when you’re traveling with the state of Utah,” said Natalie Kaddas of Kaddas Enterprises, a plastic fabrication company based in Salt Lake City. In addition to Kaddas Enterprises, other participants in the Utah/Guadalajara trade mission included NewLook International, a manufacturer of concrete stains; adhesives producer FiberFix, poultry cooperative Norbest LLC, recreational equipment wholesaler Jaseboards USA, and representatives of the United Natural Products Alliance, the Utah Science, Technology and Research Agency, the GEOD, and the World Trade Center Utah. “Utah’s exports to Mexico have grown more than 470 percent over the last 10 years, and there is still plenty of untapped potential for Utah companies,” said Derek B. Miller, WTC Utah president and CEO. In addition to promoting Utah-produced products and services, the mission also aimed at increasing investment from Mexican businesses in Utah. Several of the largest trade groups representing grain farmers and agricultural equipment manufacturers in the U.S. are more than eager to restore agricultural trade with Cuba. Among the new groups members are the U.S. Grains Council, the National Association of Wheat Growers, the American Soybean Association, and its newest member, the Association of Equipment Manufacturers (AEM). 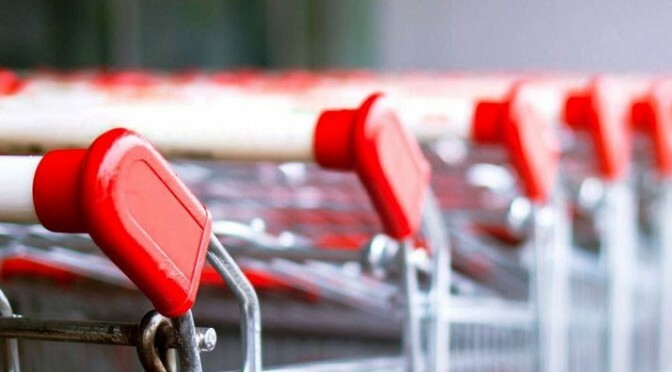 Under current sanctions, U.S. food and agriculture companies can legally export to Cuba, but financing and trade restrictions limit their ability to serve the market competitively. Import cargo volume at the nation’s major retail container ports should see its traditional buildup toward the summer despite difficult comparisons with last year’s unusual patterns, according to the most recent monthly Global Port Tracker report released by the Washington, D.C.-headquartered National Retail Federation (NRF). The Global Port Tracker covers container activity at the U.S. West Coast ports of Los Angeles, Long Beach, Oakland, Seattle, and Tacoma; New York/New Jersey, Norfolk, Charleston, Savannah, Port Everglades and Miami on the East Coast, and Houston on the Gulf Coast. Those ports handled 1.5 million Twenty-Foot Equivalent Units (TEUs) in January, the latest month for which after-the-fact numbers are available. That was up 4.4 percent from December and 21.4 percent from unusually low figures in January 2015, the month before a new contract with dockworkers was signed to end a near-shutdown at West Coast ports. February was estimated at 1.4 million TEU, up 17.1 percent from the same month in 2015 and also skewed by last year’s congestion. When the final figures are compiled, March is forecast at 1.35 million TEU, down 22.2 percent from the flood of traffic seen as the backlog of cargo began to move through ports at this time last year. 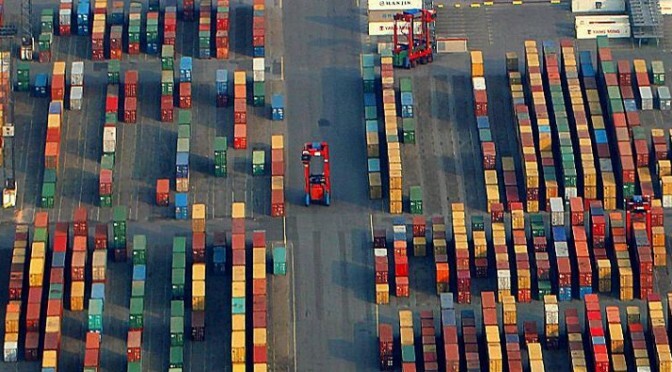 April is forecast at 1.49 million TEU, down 1.8 percent from last year; May at 1.56 million TEU, down 3.4 percent; June at 1.54 million TEU, down 1.6 percent; and July at 1.61 million TEU, down 0.4 percent. According to the NRF forecast, the first half of 2016 is expected to total 8.8 million TEU, down 0.2 percent from the same period in 2015. Total volume for 2015 was 18.2 million TEU, up 5.4 percent from 2014. With cargo volume down so far this year, recent decisions by major shipping lines to add new super-large capacity vessels to routes between Asia and the U.S. West Coast are likely to bring lower shipping rates at the risk of “chaos” in the balance between supply and demand, said Ben Hackett, head of Hackett Associates, which compiled the report. Despite the heated anti-free trade rhetoric from both Republican and Democratic presidential aspirants, negotiations to forge a sweeping U.S.-European free trade deal by the end of this year are advancing, at least from the European Union perspective. During a recent visit to Washington, D.C. for meetings with U.S. Trade Representative Michael Froman, the EU’s top trade official, Cecilia Malmstrom, stated that she was “determined” that both sides would be able to come to terms on the Transatlantic Trade and Investment Partnership’s (TTIP) most outstanding issues within the next few months. The next rounds of negotiations are scheduled for April and July, with more informal meetings in May and June. Issues that remain to be ironed out include major differences over U.S. Buy American government procurement standards, procedures for the resolution of investment disputes, and the EU’s protected geographic indicators that cover food and agricultural product names with a “tangible link” to a certain geographic area such as Parmesan cheese and Shetland wool. After several lean years, business at the Port of Portland, Maine, is back on track, literally. 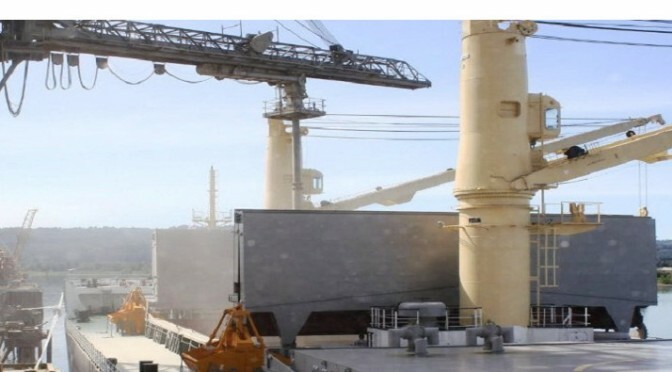 The niche port, one of the largest on the east coast a century ago, fell victim to the 2008-2009 recession which siphoned off its feeder and container-on-barge business to larger ports with regular liner services. But a concerted effort to revive the port has paid off as Portland recently saw its first-ever container train leave its new International Marine Terminal (IMT), a string of flatcars carrying 15 containers of locally-produced Poland Spring Water to Ayer, Massachusetts. On arrival, the containers were trucked to nearby wholesale suppliers. Until now, Maine companies that lacked rail access had to truck their containers to distribution terminals in Ayer and Worcester, Massachusetts. Departure of the train was a direct result of the successful effort of port management several years ago to lure Icelandic shipping company Eimskip to carry containerized cargo between Portland and Europe and attract $35 million in federal TIGER grants and private investment to expand and modernize its long-idled cargo terminal. That expansion included a critical link with the Pan Am Railway, a regional rail carrier with connections to the Norfolk Southern rail network, and, thence, to points throughout the country. The shipping company had called at Boston since the 1950s and had planned to continue there, but had a change of heart when Portland agreed to install 150 reefer plugs at the new terminal to accommodate containerized imports and exports of refrigerated cargo to and from Europe and Asia. 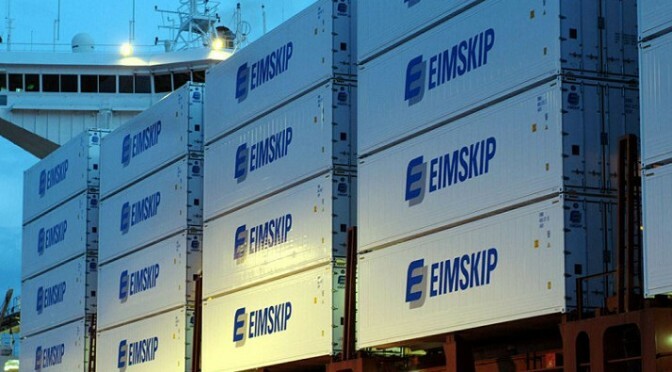 Eimskip, which currently makes bi-weekly calls at Portland, said its container volumes there are growing 20 percent annually with the line expected to move upwards of 10,000 cans through the port this year. According to the Maine Port Authority, refrigerated imports from Europe include bottled water, chocolate and various frozen food products and frozen fish for processing at local Maine facilities with dry cargo imports made up of alcoholic beverages, textiles, machinery, and silicate from aluminum processing in Norway. On the export side, the agency said, reefer exports of dried and concentrated Maine cranberries, blueberries, bagels from New Jersey, frozen scallops, lobster, fried potatoes and sweet potatoes top the list of refrigerated cargo moving out of the IMT. On the dry cargo side, exports of cut lumber, wastepaper, and household goods register the greatest volumes. Eimskip’s refrigerated imports and export volumes are almost in balance, although dry cargo is heavier on the import side. The increase in Portland’s perishable food business has attracted the attention of Americold, which has said it will build a $20 million cold storage facility on six acres adjacent to the new IMT. Not to be outdone, L. L. Bean has said it will utilize the PICT as a domestic and international transportation hub. The iconic New England clothier and outdoor equipment supplier had reportedly been looking for a faster alternative than clearing its imports through the Port of New York/New Jersey. While it won’t be importing its European-made outdoor clothing directly by sea through Portland, it will reportedly be utilizing the IMT’s round-the-clock operations to significantly cut the time it routinely took for its inbound shipments to clear Customs in New York and then be trucked to its home base in Freeport, Maine. AT&T and Porsche Cars North America, Inc. have forged a new agreement to bring equip select 2017 Porsche models with high speed internet access. will be equipped with wireless connectivity on AT&T’s 4G LTE network to Wi-Fi hot spot, news, weather alerts, maps, navigation, and other infotainment services. In addition, users of the new Connect Plus service will also be able to connect up to five devices to the hot spot with existing AT&T customers able to share data among phones, tablets and their vehicles with the company’s Mobile Share Value plan or purchase a separate stand-alone plan. 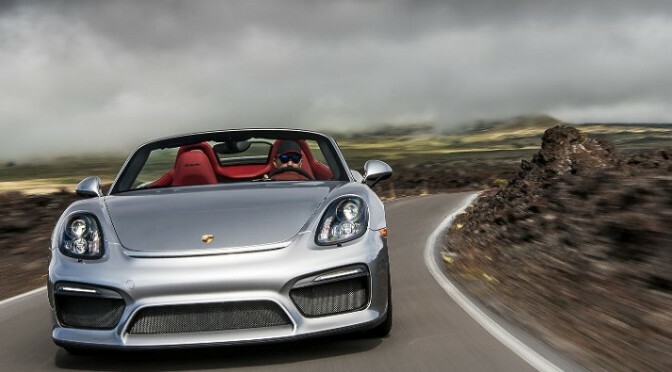 The cost for connecting Porsche vehicles equipped with Connect Plus to an existing Mobile Share Value plan is a $10 access charge per month, the telecom company said. The potent storm of economic and political changes that rocked Chinese markets in early 2016 will continue to drive an unprecedented volume of Chinese capital overseas, especially to the U.S., according to O’Melveny & Myers’s 2016 Foreign Direct Investment Report. “We’re poised for a significant increase of Chinese investment in the U.S for two reasons,” said Larry Sussman, managing partner of O’Melveny’s Beijing office. In fact, nearly half of the investors surveyed viewed the U.S. as the world’s most attractive market for investment, citing the potential for growth as its strongest attribute. Yet while 38 percent of respondents perceived the U.S.’s regulatory regime as an attractive attribute, 48 percent viewed it as the greatest barrier to investment. That seeming contradiction actually paints an accurate portrait of the U.S. investment environment, according to Steve Olson, Los Angeles O’Melveny partner and former Executive Director of SelectUSA, the U.S. government program that facilitates foreign direct investment. 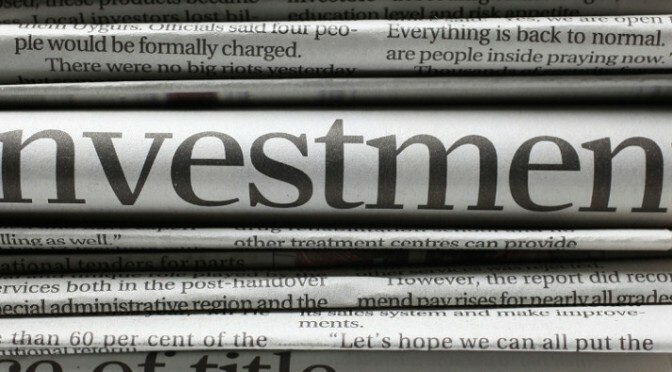 The survey found that nearly half of the investors surveyed viewed the U.S. as the world’s most attractive market for investment, while nearly two-thirds ranked it in their top 10 foreign markets. The report also depicts Chinese investors’ newfound desire to pursue higher returns through diversified investments. While 66 percent of respondents said they were targeting both publicly and privately held companies, these companies span a wide range of industries, led by healthcare and technology. The remaining respondents’ targets were evenly spread across real estate, land resources, infrastructure and alternative investments. More people moved to the U.S. from the Asia Pacific region in 2015, according to the most recent International Movers Study compiled by UniGroup Worldwide Moving. The annual study by Missouri-based UniGroup tracks customers’ global migration patterns during the course of the preceding year. Japan, the study found, saw a particularly large increase, jumping from number 10 in 2014 to the number-five spot in the ranking of number of moves to the U.S. last year. 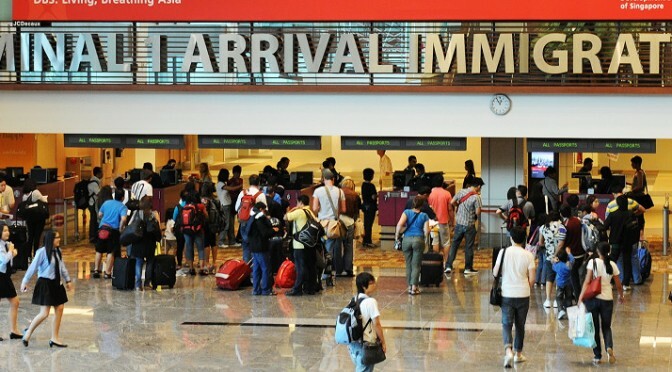 Asia Pacific countries made up a third of the list of top origin countries for moves to the U.S. in 2015, with China, and Hong Kong maintaining their number-three and number-15 spots on the list. In addition to Japan’s upward move, India (number seven) and Singapore (number 10) also moved up the list two spots each. “Americans continue to move to countries that have large and diversified economies, have experienced recent above-average economic growth or with whom the U.S. has had strong historical ties,” said Michael Stoll, economist, professor and chair of the Department of Public Policy at the University of California – Los Angeles. In terms of moves to Asia Pacific countries, more Americans moved to China (number 3) compared to last year. However, international relocation to other countries in the region, including Japan (number 6) and Singapore (number 8), dropped. According to the study, European countries continued to see a high volume of moves both to and from the U.S., with the U.K., Germany, France, and Switzerland topping both the destination and origin lists. On the list of countries sending residents to the U.S., however, the ranks of France (number 6), Switzerland (number 9) and the Netherlands (number 12) all fell. Moves from Brazil increased as the country jumped from number 13 to number 8 on the top origins list. Puerto Rico entered the top 15 list of origin countries in 2015 at the number-11 spot. Diagnostic testing services provider Eurofins Microbiology has opened a new, state-of-the-art, certified laboratory in Louisville, Kentucky. The new facility offers the testing services needed to rapidly quantify, detect, or identify pathogenic, spoilage, and pro-biotic micro-organisms utilizing “novel and specialized logistics” to provide fast results when time to product release is critical,” the company said. Due to Louisville’s proximity to over 60 percent of major U.S. cities, and being home to the UPS hub, the new location “will be one of the most efficient microbiology testing laboratories in the marketplace as increased logistical speed helps reduce the turnaround time of results by up to eight hours over competing laboratories,” it added. “Our Eurofins ExpressMicro service enables us to provide customers a very quick time to result, without compromising method or process quality, said Mehgan Styke, business unit manager of Eurofins Microbiology in Louisville. “As the time waiting to release product or review results often impacts food production schedules and the bottom line, it’s exciting to have both a local and nationwide food safety and testing solution that incorporates customized logistics and high quality testing solutions,” she added. The Louisville laboratory “will follow the same quality standards that Eurofins is proud to incorporate across its many laboratories and divisions in the US,” Styke said. France-headquartered Eurofins currently operates 225 testing laboratories in 39 countries, serving the food, environmental, agricultural, and pharmaceutical industries. Six, including the new Kentucky facility, are located in the U.S. In May 2015, it acquired U.S.-based QC Laboratories and Experchems in Canada as part of its long-term North American expansion strategy. 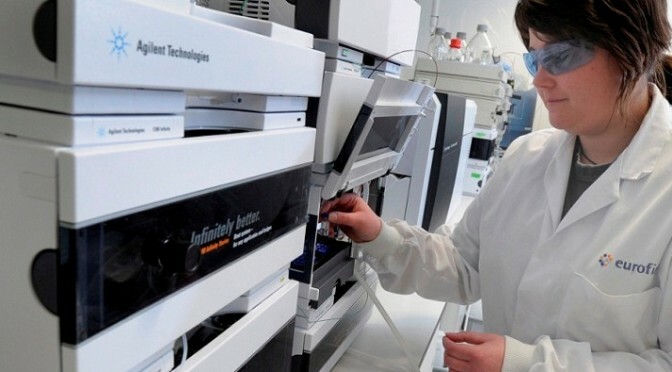 The company’s portfolio consists of more than 130,000 reliable analytical methods for evaluating the safety, identity, composition, authenticity, origin and purity of biological substances and products, as well as for innovative clinical diagnostic. Kahala Brands, parent of Cold Stone Creamery and master franchisee Olive Tree Foods Limited (OTFL) have opened a new flagship store in Dhaka, Bangladesh. “We believe Cold Stone Creamery could be the catalyst for creating a new dimension in the food and beverage industry of Bangladesh by introducing the ‘fun factor,’ in addition to serving a very high-quality product,” said OTFL Managing Director, Sheikh Aftab Ahmed. The store is the company’s first in the city with OTFL planning to grow the Cold Stone Creamery brand by opening multiple locations in and around Dhaka over the next five years. Scottsdale, Arizona-based Kahala Brands has made expansion into international markets a key component of its long-term growth strategy for the Coldstone brand. 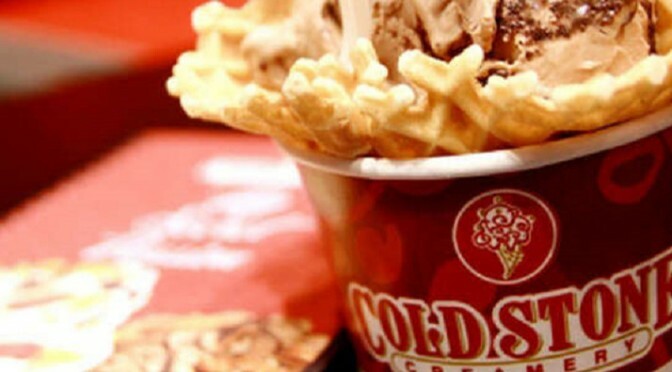 The company opened the first international Cold Stone Creamery store in Tokyo, Japan, in November 2005. Over the past decade, Cold Stone Creamery has franchised more than 300 stores in more than 27 countries including the Philippines, Kuwait, Qatar, Trinidad & Tobago, Taiwan, Kenya, Brazil, Nigeria, Egypt, Canada, the United Arab Emirates, Cyprus, Indonesia, and the U.S.